The American bulldog-mix and main aggressor in attack that killed Carmen Reigada. UPDATE 03/30/16: Six months after the horrific, gruesome mauling death of a 91-year old woman by three family dogs, new information has been released, including photographs of the dogs. The medical examiner determined the dogs "defleshed" the face and scalp of Carmen Reigada. She died due to dog bites to the head, neck and extremities. Since her death, her great-grandson, Christopher Cifuentes who owns the dogs, has been fighting to have the animals returned to him. 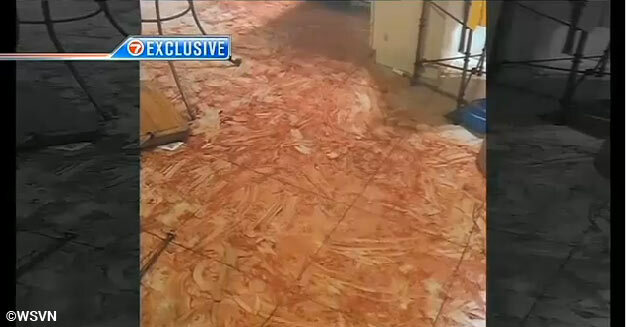 The investigative report by WSVN is graphic, showing the bloody aftermath of the attack. The report also shows how truly revolting and dangerous the owners of dangerous dogs are, her great-grandson Cifuentes. 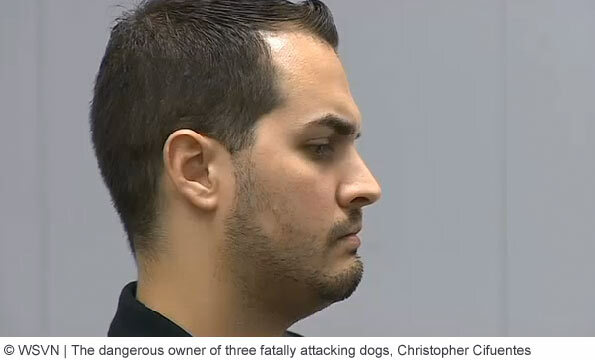 Despite dental records showing that all three dogs participated in the lethal attack, Cifuentes still sought to have two of the dogs returned to him. 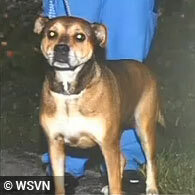 He eventually agreed to surrender the primary attacker, an American bulldog-mix found covered in blood, for euthanasia. During the dangerous dog hearing, Miami-Dade County officials held their ground. "All three dogs that were confiscated from this home were, in fact, part of the attack and involved in creating these marks on Ms. Reigada's body," assistant county attorney Sabrina Levin said. "It just merely would be shocking to allow these animals to go on and risk the possibility that something like this could happen again. It's so severe, it's so graphic." The hearing officer fully agreed with the county. Christopher Cifuentes, the dangerous owner of these dogs has until mid-April to appeal the ruling. A detailed autopsy report shows that a 91-year old woman was savagely attacked in the face and scalp by up to two family dogs in her home on September 22. The medical examiner found that Carmen Reigada had a defleshed face and scalp, as well as multiple puncture wounds of the neck.1 For unknown reasons, Miami-Dade Animal Services now excludes the Rhodesian ridgeback and only implicates the other two family dogs: an American bulldog-mix and "lab-mix." Recall the first breed was formerly only called an "American bulldog." NBC Miami has apparently only gained the autopsy report thus far. Other news organizations will eventually follow, along with hopefully a richer examination of events that occurred on September 22. No images or video footage of the two suspected dogs have surfaced so far. It is a guessing game at this point how many different breed names Miami-Dade Animal Services will use to describe the two dogs that in all likelihood fall within a very convincing pit bull-mix category. Police continue to investigate the mauling death of an elderly woman. Carmen Reigada, 91-years old, was discovered unresponsive inside her home Tuesday with dog bite injuries on her head and face. 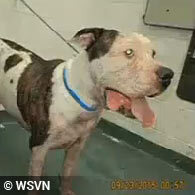 Miami-Dade Animal Services seized three dogs that resided at the home. It is unknown how many of the canines participated in the attack. Carmen lived in the home with her son and other family members. Neighbors told WSVN that the dogs belonged to the victim's grandson. News media captured footage of the Rhodesian ridgeback being loaded into the animal control van, but no photos or video footage have emerged about the two other dogs, an American bulldog and "lab-mix." Neighbors were saddened to learn about her death. One, who was unidentified, said, "Very sweet lady. What can I tell you, this is something very bad," she said. "The dogs, you know, know the lady, so I really don't know why that happened." The investigation continues. 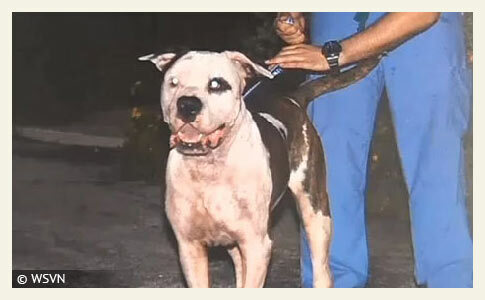 Last year, after a little boy was savagely killed by a pit bull and pit bull-mixes, Miami-Dade Animal Services played the breed labeling game. Only the primary culprit was designated a pit bull, the other 5 dogs were labeled in four different ways during the breed labeling game: labrador-pit bull mixes, terrier-boxer mixes, American bulldog-lab mixes and terrier-mixes. Miami-Dade County has banned pit bulls since 1989. In August 2012, voters upheld the ban by a 63% to 37% margin. 1More about facial and scalp mutilation and defleshing injuries by dogs: Extensive and mutilating craniofacial trauma involving defleshing and decapitation: unusual features of fatal dog attacks in the young, by Tsokos M, Byard RW, Püschel K., The American Journal of Forensic Medicine and Pathology, 2007 Jun;28(2):131-6. 2Earlier news reports did express that authorities were still unsure how she died, but by midnight Central Time, WSVN clearly stated that she died due to a dog attack. 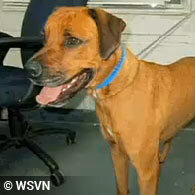 Local 10 has a photo of one of the dogs, which appears to be the ridgeback. Also, it seems unclear at this stage how many of the dogs were involved in the attack. Another animal control agency that can neither handle nor tell the truth. What a surprise. I think they already answered your question with the "American Bulldog" label. Carmen G. Reigada, 91, b Dec 1, 1923, comes up on Ancestry.com as from Urugray and was naturalized in 1986. I wanted to live in Miami-Dade in the future when I heard of the pitbull ban. It was the only place near me (in the south) with a ban. Now I hear stories like this with shelters lying about pit breeds even though they know there's a ban and it just seems pointless and impossible to escape these hellhounds. Why have a ban if you're not going to enforce it?! So many lives could have been saved; like this poor woman's. The heads of animal control need to step up their game. Shelters lie. That's all you need to know. This was a crime. That man murdered this woman with his fighting breeds and mixes. He should be in prison now. Since when did we give criminals the power to tell us what they want to do? People need to be outraged, and let the politicians that cater to this idea know.